Conference Series LLC is a renowned organization that organizes highly notable pharmaceutical conferences throughout the globe. Currently we are bringing “6th Global Experts Meeting on Cardiovascular Pharmacology and Cardiac Medications” (Cardiac Pharmacology 2017) scheduled to be held during April 13-14, 2017 at Dubai, UAE. The conference invites all the participants across the globe to attend and share their insights and convey recent developments in the field of Cardiovascular System and Medication. 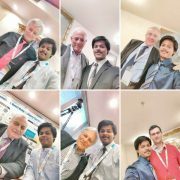 Conference Series LLC organizes a conference series of 1000+ Global Events inclusive of 1000+ Conferences, 500+ Upcoming and Previous Symposiums and Workshops in USA, Europe & Asia with support from 1000 more scientific societies and publishes 700+ Open access Journals which contains over 50000 eminent personalities, reputed scientists as editorial board members.